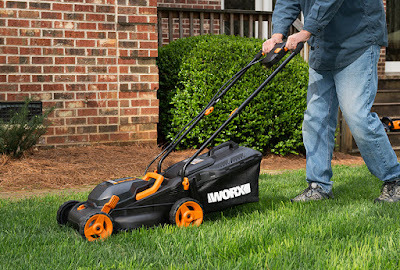 Welcome to our WORX 2X20, 40V 14" Lawn Mower Giveaway! A amazing product; RV of $249.99. Enter today and Good Luck! Uses two (2) 20, 40V, 4.0Ah batteries (removable) for extended run time and cutting power; cuts up to 5, 000 sq. Ft. On a single charge. They store in a convenient compartment that you hardly will notice. 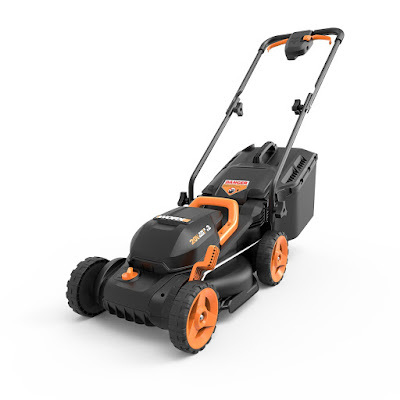 The mower features the WORX exclusive Intellicut, torque-on-demand system that automatically monitors the mower’s need for torque. 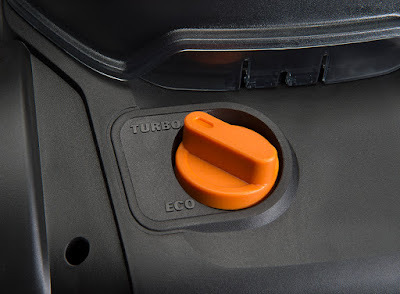 Sensors adjust to higher torque needs for thicker grass and reduce torque automatically when it’s no longer needed to handle every day mowing conditions. 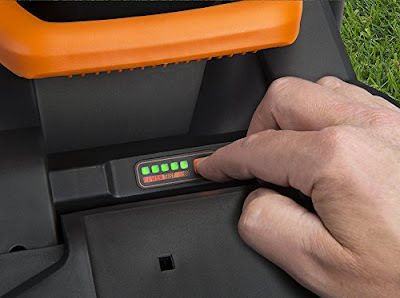 The mower includes a Power Test indicator to help you know how much charge you left on both batteries combined without removing either of them. 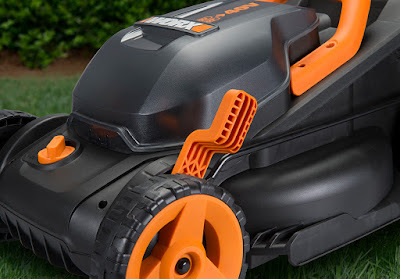 A battery operated lawn mower is much more clean for the ozone than that of a gasoline powered lawn mower. 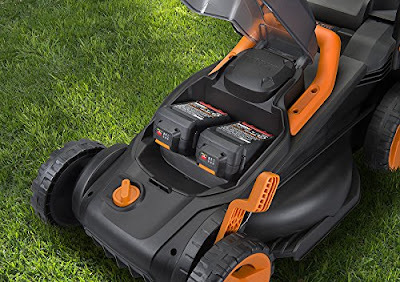 Battery powered lawn mowers prove to be safer for the environment since over 17 million gallons of gasoline are spilled refueling gas powered lawn mowers each year. Each weekend, about 54 million Americans mow their lawns, using 800 million gallons of gas per year and producing tons of air pollutants. Garden equipment engines, which have had unregulated emissions until the late 1990's, emit high levels of carbon monoxide, volatile organic compounds and nitrogen oxides, producing up to 5% of the nation's air pollution and a good deal more in metropolitan areas. Therefore , battery powered lawn mowers are all around safer for our environment. Foam padded handles provides a comfortable grip for reduced fatigue while cutting Single-lever adjustment lets you select between (6) cutting heights from 1.5 to 3.5 inches. Make sure you visit the WORX Website and view all their amazing products and low prices. by simply clicking on the link below.